Four days into the new year. What do you plan to accomplish? 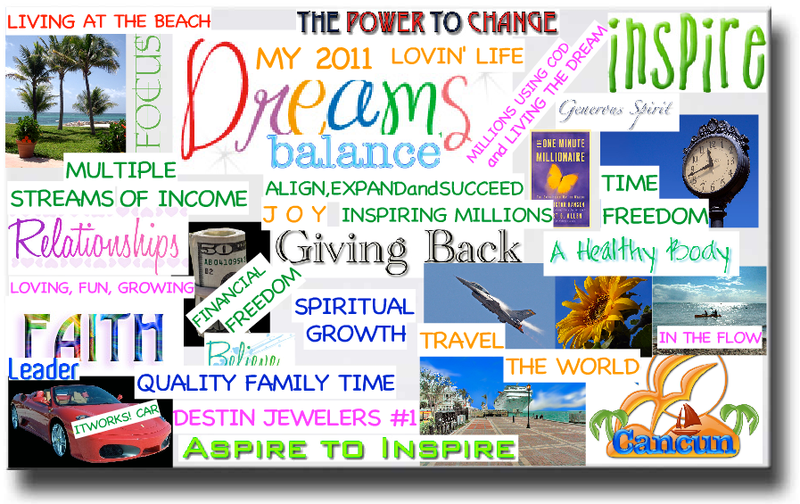 What is your vision for 2012? How do you plan to get there? Here is an idea to keep you on track with your resolutions, goals, and turning your dreams into reality. Start by browsing through old magazines, cut out pictures that relate to your goals. If you want more money, cut out a dollar sign or an individual you feel has accomplished this task. If you want to travel cut out the places you would like to visit and paste them on your vision board. A cork board will do, just have some thumb tags handy. Always strive to be a better version of yourself.